Don't you just LOVE the Fall season? It is my absolute favorite time of the year. Cooler weather, warmer clothes, yummylicious comfort foods and all the baked goodies! OH YEAH!! I just wanted to share a couple of great recipes with you showing you how easy it is to use your Vitality Oils. Here is the first recipe using Cinnamon Bark Vitality. 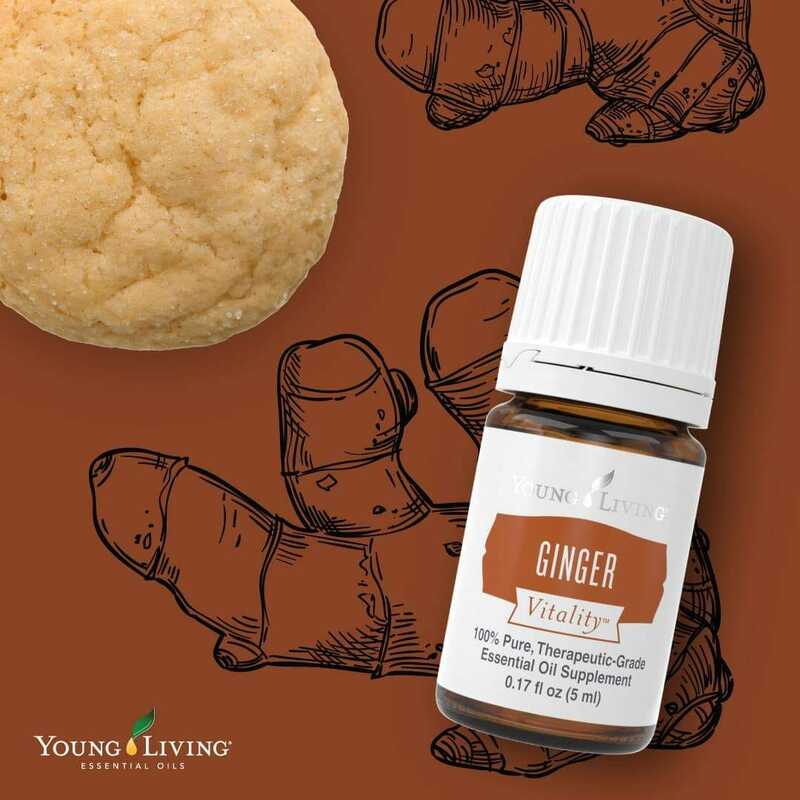 Grab your Vitality oils and Einkorn Flour because we have a fun and healthy Pumpkin Spice Muffin recipe for you! 1. Preheat oven to 350°F. Spray a 12-cup muffin pan with nonstick spray. 2. 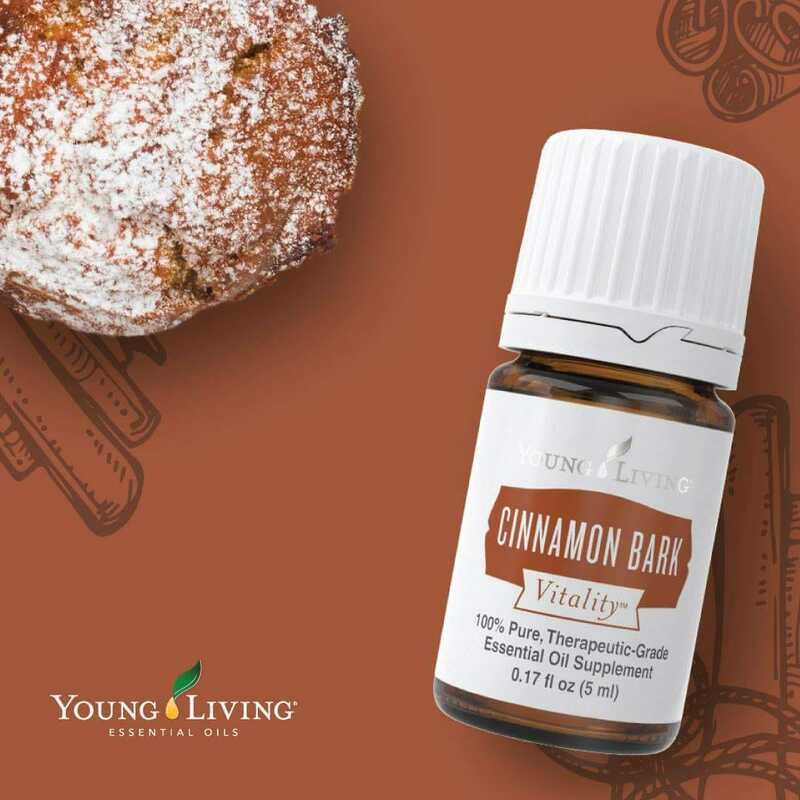 Mix Cinnamon Bark Vitality, Einkorn Flour, Pumpkin Pie Spice, Baking Powder, Baking Soda, and Salt. 3. Add in Raw Honey, Coconut Oil, Pumpkin Puree. 4. Fold wet ingredients into mixture. 5. Scoop mixture into muffin tins. 6. Bake for 20-25 min. Next up is Ginger Vitality! Swap out flour for Einkorn flour and add in Ginger Vitality in our Healthy Habits Series! 3. Sift together the Einkorn Flour and Baking Soda. Add to the creamed mixture. 4. Add the Milk and Vanilla. Mix well. It has been far too long since I blogged. 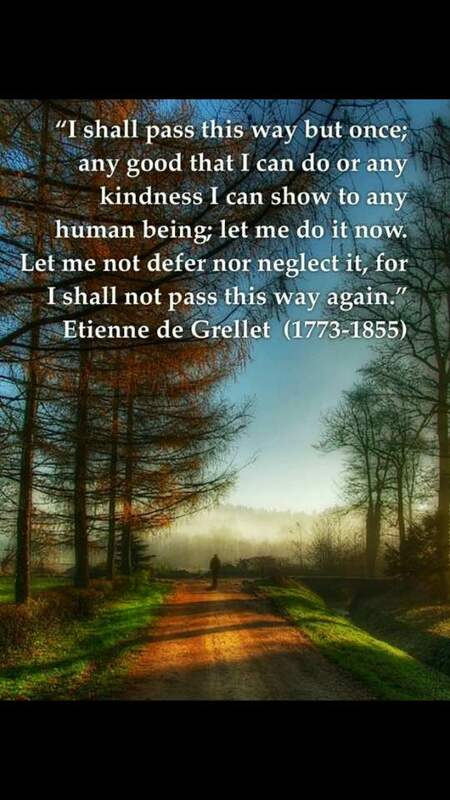 I have been so busy living life (12 grand babies now), setting and reaching goals, and personal growth that I have neglected sharing the journey. Life has been so amazing and 2017 was the best year of my life. 2018 is going to be the BEST year yet! AND for YOU too!!! God is sure blessing our new life in sobriety, July will be 5 years. Thankful that I remember the OLD me, so that I remember where I never want to return. But grateful for the NEW me in Jesus and natural living. If you remember my first or second blog, you remember that one of my goals with Young Living was to replace my SSI income and feel good about myself while being back in the work force. By the grace of God, I was able to do that and it feels so STINKING good! By June 24, 2018 we WILL be Silver, but more importantly, I will be a servant leader like Jesus and help our team leaders reach their goals so that they too can live an abundant life with purpose. We now have a growing thriving team in the US and in the Philippines, which is super exciting. The thought that we are helping so many others to live a healthier toxin free life just feels so rewarding. We are still nowhere where we want to be with our business and personal life, but we are well on our way and enjoying the journey. Every day is a day to live better than the life we lived the day before. His mercies are new every morning (Lamentations 3:22-23). God never ceases to amaze me with His provisions and blessings, which I don't deserve by any means, but so thankful that he took a sinner like me and is changing day by day into the image of Jesus. I can only live a life of worship by striving to live a life pleasing to Him, thanking Him for his sacrifice and perfect love. I am now down 61 pounds, 30 of which was lost in 2017 and that my friend feels so GOOD, both mentally and physically. If you wonder what I am doing, I am happy to share with you anytime. I love to inspire others to become the best versions of themselves. I don't know it all or have all the answers, but I am transparent enough to share what has worked for me. I have finally come to terms with loving myself through Jesus and finally see how uniquely made I am by God. Guess what? YOU are uniquely made too. Please take a moment and read all of Psalm 139, it is only 23 verses and worth every moment of your time. Then, if you are really wanting a breakthrough please read it every day for a month out loud to yourself and watch what amazing things will happen. I promise...you won't be disappointed. So....do tell...what is new for you? What goals have you set for yourself this year? Let's inspire each other and help others along the way. Let's leave this world better than what we found it. Blessings and remember...........I love you, but Jesus loves you more! Failing Forward or failing backwards? Can I share a raw moment of failure with you? I have been praying that God would use my testimony to help others who are going through what I have gone through with addiction and no self love. I desire my story of success to be used for HIS glory and for the edification of others who are struggling in their addiction and on self destruct mode like l lived for so long. Today an opportunity presented itself and I FAILED.....BIG TIME!! You see I had just finished a book by John Maxwell called "Failing Forward" and literally was on my way back from the Library to take my MIL's books to her when I rounded the corner and saw someone in just her thong walking around in the street and at the drug house across the street from my MIL's. She was peeking in the windows of the neighbors, who have kids and my mama bear came out with a vengeance. This house is no good and I can say that because I myself used to hang there when in my addiction. Not the house, but what goes on there. I had the opportunity to share the good news of Jesus Christ and His blood saving grace. I had the opportunity to share what He has done for me. I could have shared how He has transformed my life and blessed me beyond measure, taken me from the depths of Hell to the gates of Heaven. I could have shared with her that I am loved by a magnificent heavenly Father. I could have shared with her that she is also loved by HIM. I could have loved her through him and helped her. But no...................what did I do? ...................I yelled at her.......to get some clothes on, that those kids didn't need to see her like that and to get out of there or I was calling the police (an eviction just took place there). She did put clothes on and leave after a bit. But I just kept asking myself, Is this how God intended to use me? I think (I know) NOT!!! This was a failure. Will I use this in failing forward or will I just fail backwards? No I didn't handle this in the way I should have, but I did learn a valuable lesson through my failure and that is why I am choosing to fail forward. If I just sit and beat myself up like I have been for the last hour, then Satan has a grasp on me and I am failing backwards or just plain failing. HOWEVER, I am choosing to see where I failed and made a decision to not make that mistake again and that is failing forward. I am praying that God allows our paths to cross again so that I can offer her clothing, food, the gospel, my testimony and most importantly........just show her that she is LOVED. I know that I needed to know that love, that only Jesus can provide, when I was lost and in my addiction. I need it every day. Please today, don't waste an opportunity, but Just show some LOVE to someone. We are presented with so many opportunities throughout a day. Who know how you will affect someone's life by just showing love and kindness. In the beginning my family, I won't mention any names, made fun of me when I started this oily journey. They scoffed at the fact that it was an MLM, even said that it was a Pyramid Scheme. NOPE....those are illegal and look more like Corporate America and the standard 9-5 company job. They said this business was a waste of time and money. They said I was fooling myself. They said it was a FAD....really? FAD's don't last over 5,000 years. They looked at me like I was weird.......and I am...but not in that sense. In the beginning I let my mind play tricks on me, even letting the Devil to have a foothold. I would listen to things like you can't do that, you aren't worthy, you aren't smart enough, you are a recovering addict, what makes you think that anyone would believe you or trust you, you're too fat to be running a health and wellness company, etc...etc......you get the idea. ALL LIES!! 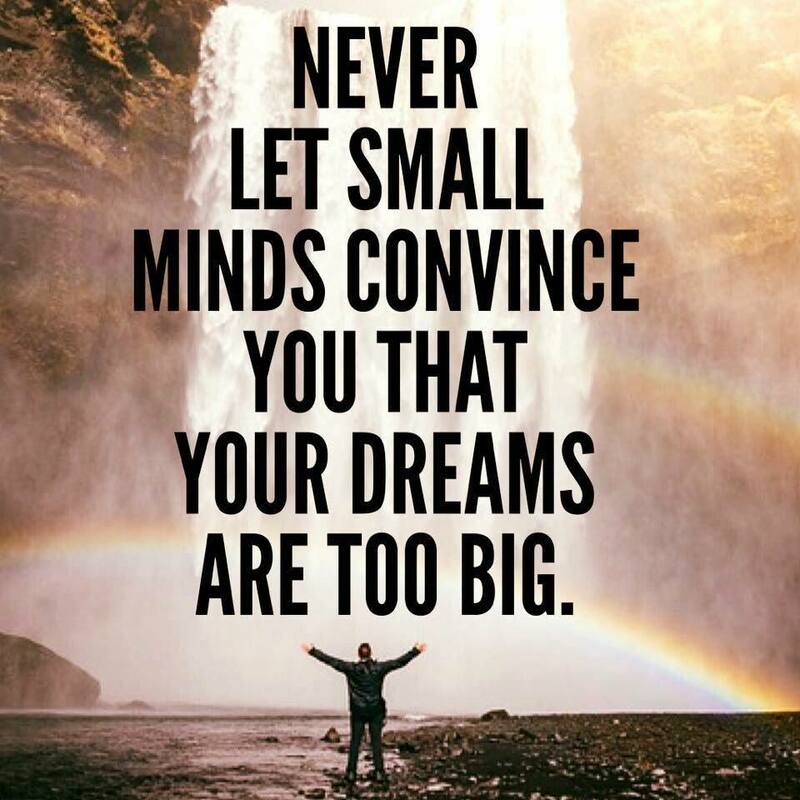 Well.....NO MORE....that was letting small minds convince me that my dreams were too big. NO THEY AREN'T!! This is the first time in my life that I have allowed myself to dream or even be in the right sober state of mind to dream a dream. This is the first time that I truly believe in myself and that I can accomplish my dreams. NO...I can't do it on my own, but I CAN do it with JESUS by my side and God leading me every step of the way as I rely on his wisdom, power and vision. NO...it's not always going to be sunshine and unicorns. YES...it will be tough at times, but I CAN succeed and I CAN do anything I put my mind to with the power of the Holy Spirit flowing through me. NO, I am not where I want to be YET, but I WILL BE and I am enjoying the journey and the process right here, right now, exactly for a moment like this. Don't EVER let anyone rent space in your head other than God and positive thinking. YOU CAN DO THIS TOO! YOU CAN BE A SUCCESS TOO! YOU CAN MAKE YOUR DREAMS COME TRUE! YOU CAN DO ANYTHING YOU PUT YOUR MIND TO! !